Have you been making handmade gifts as Christmas presents this year? We’ve been sharing easy handmade gift ideas all November, because we all know that once December hits there will be no more time! Perhaps you are time short now – let’s face it almost everybody is, and you might not have had time to make anything for anybody. That’s OK too. These adorable handmade gift tags by Shannon from Oh Creative Day would make the perfect finishing touch to your hand made gift, or add a sweet handmade touch to your store-bought gift. 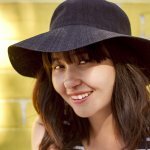 Kids will love the simple and fun printing technique and they look like they don’t take long at all. So – no excuses now, you’d better get started. 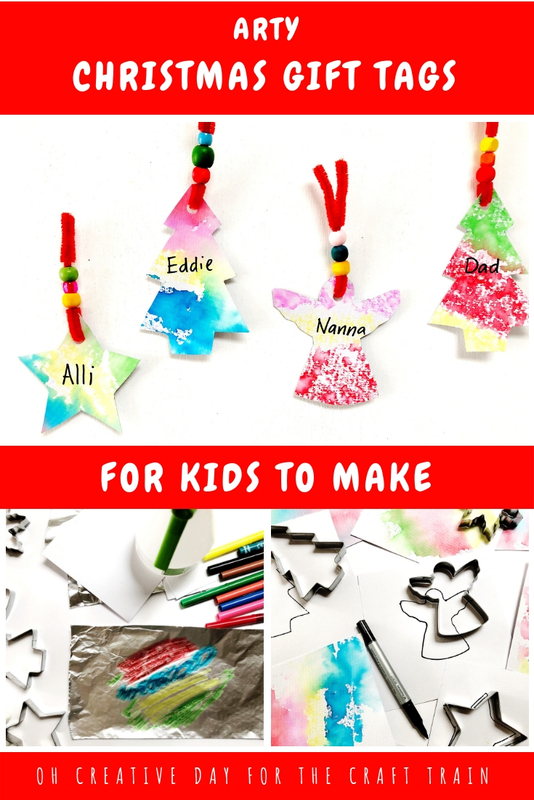 These arty Christmas gift tags are super simple for kids to make and involve a fun process involving aluminium foil printing and cookie cutters. 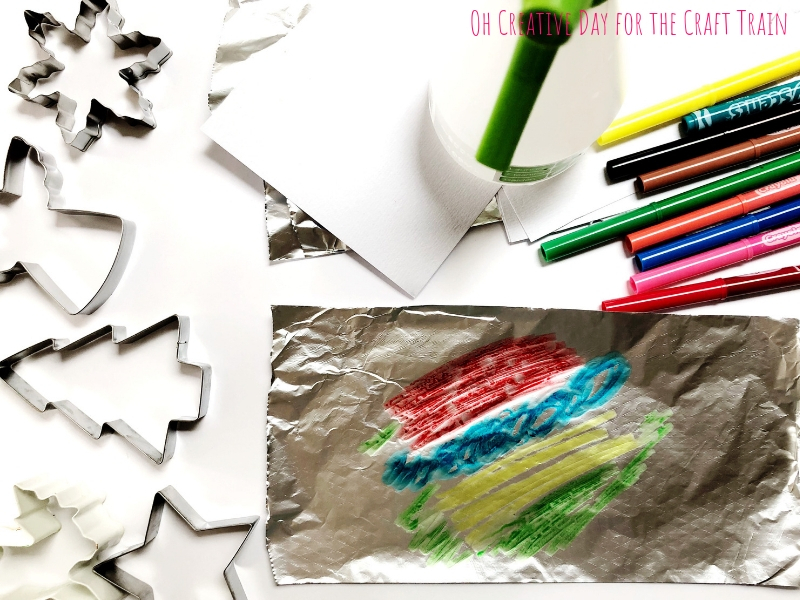 Use your markers to colour in patches on your aluminium foil. Spray a light mist of water over your colourful creation. 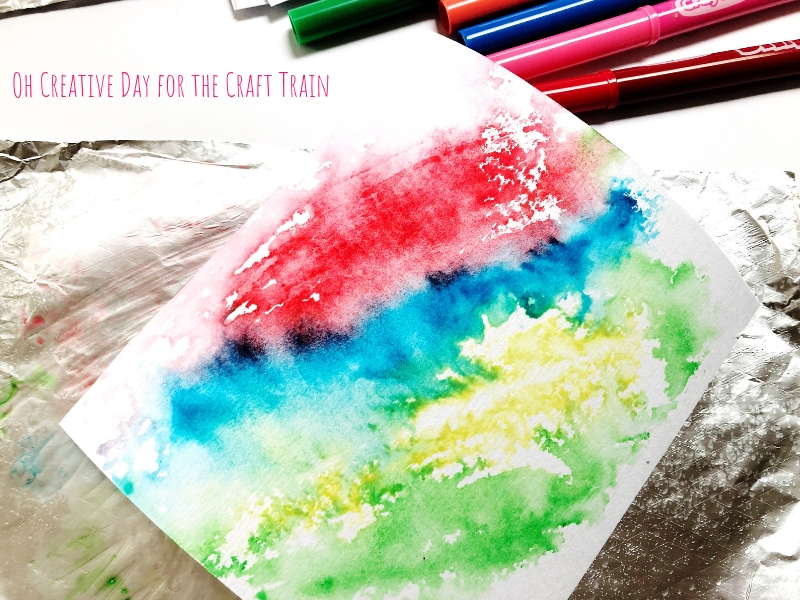 Press watercolour paper onto your design. Apply pressure and then peel away your paper to reveal the transfer of colour. This step is all about experimenting. If you apply a light mist of water, the colour transference is quite even. What happens if you turn your spray bottle to a jet spray? How does that affect the print? 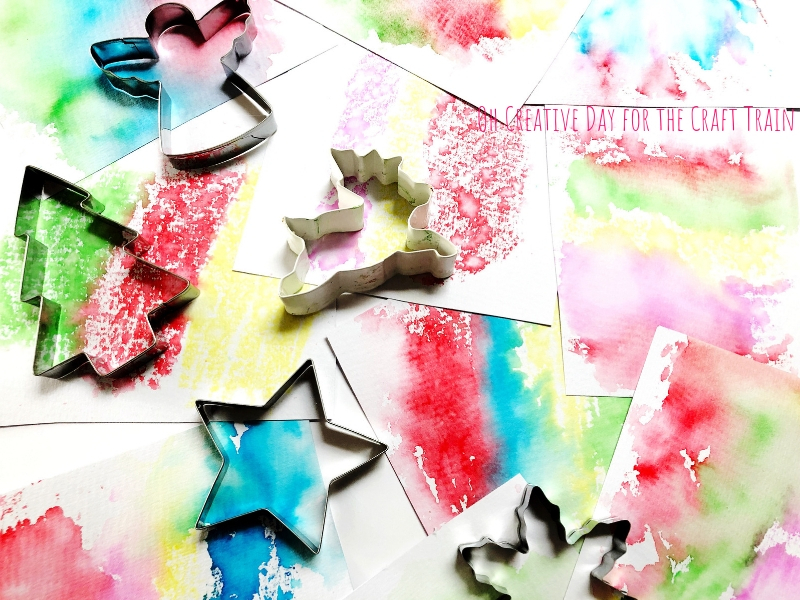 Once your paper has dried, use cookie cutters to trace Christmas shapes on the back of your prints. Cut these shapes out and you have yourself some gift tags! If you’d like to decorate further, you can punch a hole in the top of the gift tag. Thread a chenille stem through and add some beads. 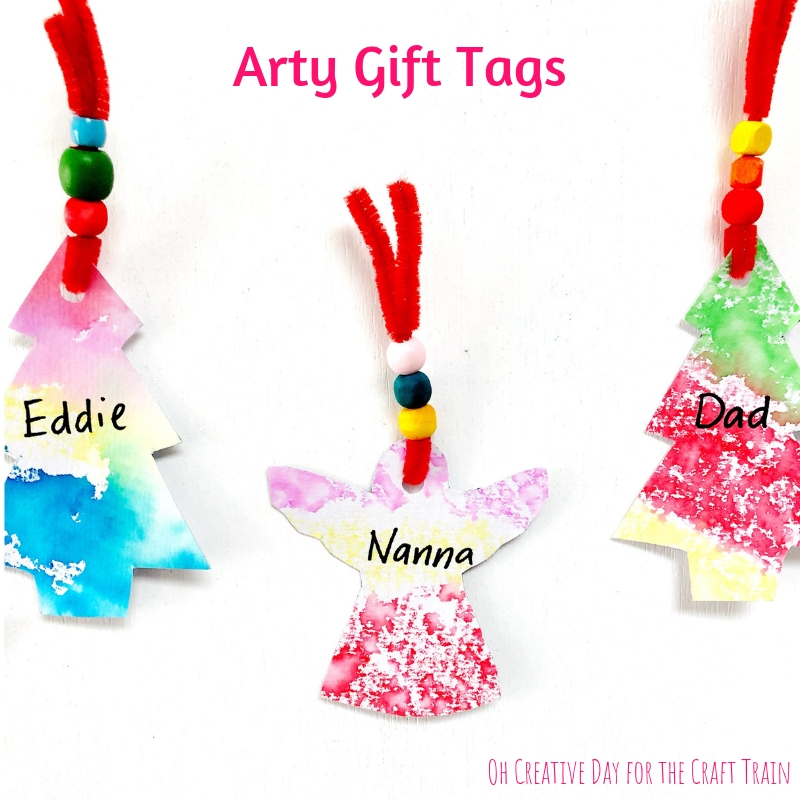 Your gift tags are now ready to adorn presents! 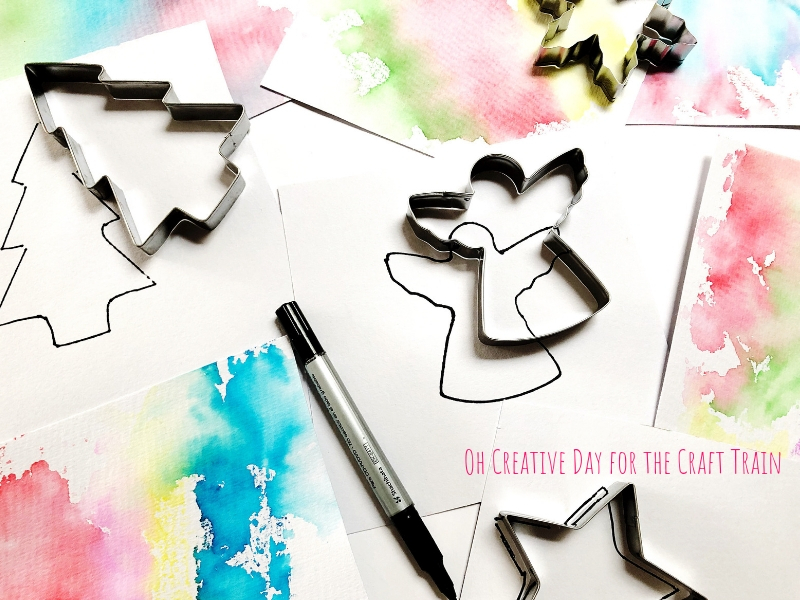 • This arty advent calendar is lots of fun to make, and even more fun to open each day! • Arty DIY crackers make a great handmade gift idea, and are much more fun than store-bought ones!